The Mermaid comes in a beautiful purple shell that makes play on the go so easy, simply pick up and go it is easy to take on play dates, entertains in the car or waiting room all you need to add is a little imagination. 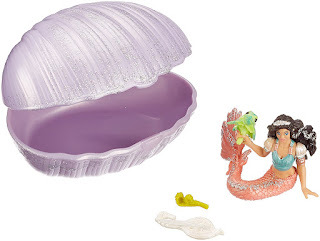 The detailed paintwork of the mermaid figure is really good quality, the movable parts of the mermaid and the addition of her friend the baby turtle make play that bit more exciting allowing imaginations to run free and provide hours of fun finding exciting adventures for the two friends. On an outing to the coral reef, this mermaid found a little turtle that was paddling around totally lost. She carefully took the animal home with her and has lovingly cared for it ever since. The two of them quickly became best friends. The turtle bravely swims through the colourful mermaid house out into the garden and accompanies its best friend everywhere she goes. Sometimes it swims closely behind the mermaid, her long brown hair tickling its little turtle nose. 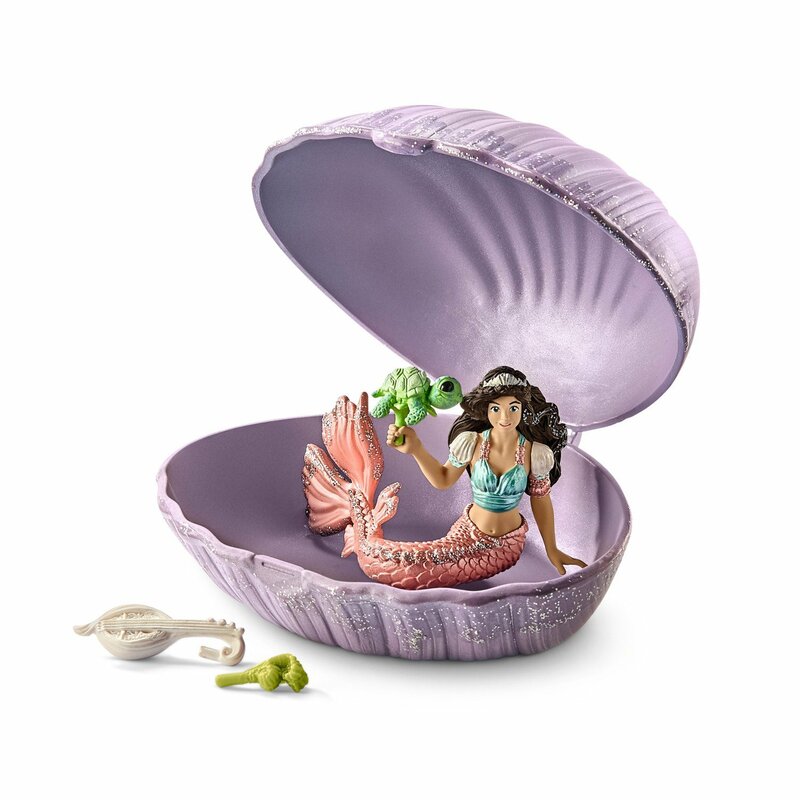 How beautiful the mermaid is with her glistening tail fin and jewellery made of mother of pearl. When the little turtle is tired from so much swimming, it simply rests on the hand of its friend. It is quickly rested up and ready for the next outing. What adventure should the two of them go on next? This figurine has found its place in to the amazing mermaid collection we already had and has provided hours of imaginary play on its own and alongside her collection, i think she will definitely be looking to add the other two figures and their friends to her collection. At this price it would make a great alternative Easter gift too.